Comedy’s richest, sexiest, snack returns to the stage. 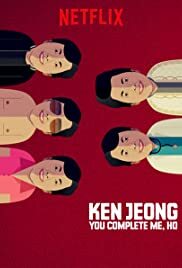 You Complete Me, Ho, Ken Jeong’s first comedy special streams Feb 14 only on Netflix. Stand-up performance of comedian Ken Jeong recorded live at Pasadena, California.